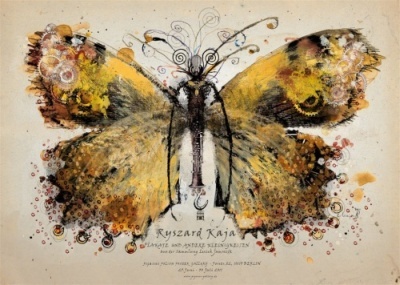 Ryszard Kajas Poster has won the nomination of "100 best posters 2010 of Germany, Austria and Switzerland". Simultaneously to the exhibition "100 best Posters 2010" in Berlin, we organise the exhibition "Posters and Misdemeanors by Ryszard Kaja". We exhibit around 50 Posters, drawings and sketches of this artist.